Kelowna, BC ? The Apple Triathlon is excited to announce their partnership with Jakroo Canada as the Official Apparel Sponsor for the 2018 and 2019 races. Jakroo Canada?s commitment to making high quality custom gear faster and easier than ever make them the perfect partner as the Apple Triathlon celebrates it?s 35th year and plays hosts to both the 2018 and 2019 National Championships and CAMTRI Continental Cup. ?We are pleased to welcome Jakroo Canada to the Apple Triathlon for the 2018 and 2019 races. Jakroo?s quality triathlon and cycling apparel and innovative designs make them a natural fit with the race. We are excited to give our athletes, spectators and fans some quality garments for both training and racing?? explains Race Director Susie Ernsting. Jakroo Canada?s Ron Hayman states, ?It is an honour to partner with this long-standing event. We look forward to seeing you at the Apple Expo site and be sure to come see our new elite custom triathlon products and remember with Jakroo ? it’s (almost) never too late!? 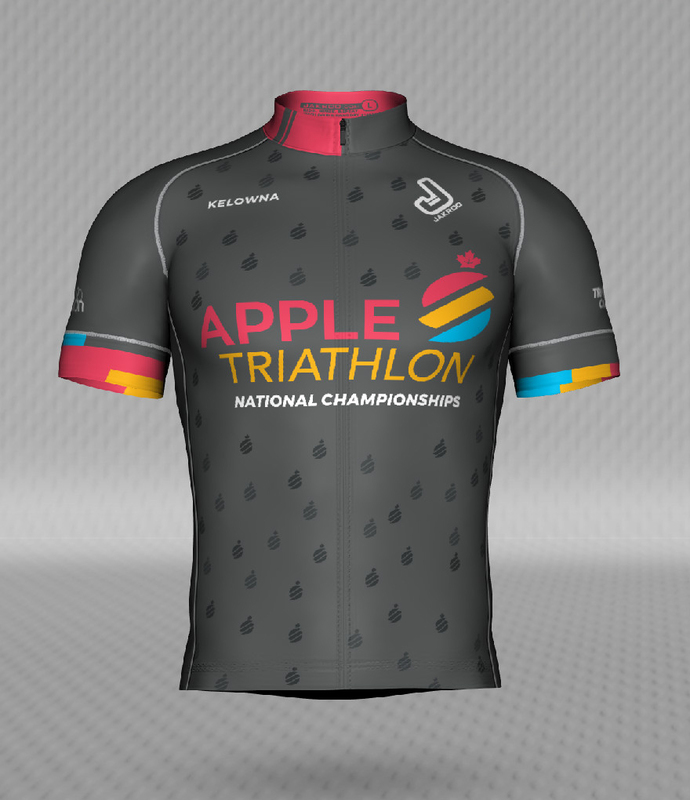 Custom Apple Triathlon apparel will be available for purchase through the Apple website (appletriathlon.com) until July 20th. Jakroo will be offering the Tour Jersey ? available in relaxed, standard or slim fit in both genders – along with the Fondo jersey in Junior sizing. Complementing the jersey will be the Velo Pro Bib Shorts. For racing gear, athletes can purchase Jakroo?s Elite Pro Tri Top, available in men?s, women?s and junior cut. Limited merchandise will be available on race weekend so athletes, spectators and fans are encouraged to purchase their items early in order to take home their commemorative National Championship apparel. The custom apparel will be available for pickup at the Race Expo from Friday, August 17th through Sunday, August 19th. JAKROO CANADA:?Jakroo Canada is excited to partner with a great event like the Apple Triathlon. Our growing triathlon product line and the fastest turnaround for custom orders in the business make us a great option for athletes from beginner to elite, and we look forward to connecting with participants of the event and showing off the gear. APPLE TRIATHLON:?Started in 1983 by then Kelowna Mayor, John Dan Hindle, the Apple, as it is affectionately called, is an icon of the triathlon community. This not-for-profit event has been built and sustained thanks to the hundreds of volunteers who are committed to the sport, the event and their community. What makes the Kelowna Apple Triathlon unique is its inclusiveness ? from rookies to World Champions, the event is open to all. In 2018, the Apple will unveil a new venue and courses and will host Triathlon Canada National Championships and ITU CAMTRI Continental Cup.